Chivita, a brand of CHI Limited, has entered into partnership with the Sugar and Cholesterol Control Foundation (SACCOF) to support a campaign on health and wellness as well as increase public awareness on the nutritional benefits of 100% fruit juice. Adesoye, a food technology expert, pointed out that the commitment was not only necessary for raising the awareness level but also critical to correcting the misconceptions about sugar consumption. He noted: “It is important Nigerians understand that they need sugar to carry out their basic tasks. What is bad is excess intake. And what could be normal for one person may be excessive for another. What determine the volume of sugar you require are your lifestyle and the amount of energy you need to discharge your responsibilities. According to Adesoye, excess sugar intake without complementary active living, are likely causes of diabetes and associated diseases among many Nigerians. He therefore called for the involvement of relevant stakeholders in the campaign as well as more investment in researches and public sensitization. The SACCOF President disclosed that Foundation had carried out extensive research on Chivita 100% and that the results were commendable, adding that SACCOF was impressed by the company’s compliance to highest food safety standards, which are above industry regulatory requirements. Also speaking, Managing Director, Chi Limited, Deepanjay Roy said Chivita would, on the strength of the partnership, support the Foundation’s research works and other initiatives aimed at educating Nigerians on healthy living. Roy said that the company and SACCOF had shared values in boosting the quality of life, through enlightenment and support for consumer’s health and wellness. “As a sustained initiative, we hope to support independent efforts by experts such as nutritionists and dieticians to show how fruit juice contributes to the health and well-being of consumers. We will also create a sustainable discourse on the truth and science of 100% fruit juice and the No-added Sugar proposition”. Driven by a passion and commitment to excellence, CHI Limited is one of the most admired companies in Nigeria’s food and beverage industry. While it prides itself in offering products that are themselves benchmarks in their respective categories of juice, dairy-based beverages and snacks, each of CHI offering is admired for its highest quality, nutrition and health standards. 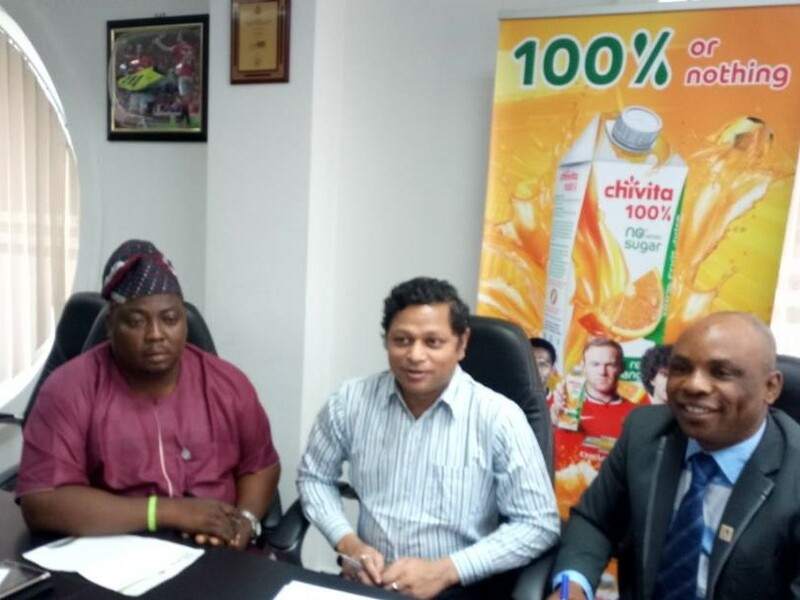 Today, CHI Limited is the undisputed market leader in juice, fruit drinks and yogurts in Nigeria. The company attained this status by consistently delivering innovative products that have become household names in Nigeria. In the fruit juice category, mega brands like CHIVITA 100%, CHIVITA Active, CHI Exotic, Happy Hour by CHIVITA, CHI Ice Tea and Capri-Sonne occupy leading positions in their respective segments. CHI Limited also takes great pride in its range of dairy products, such as Hollandia Yoghurt, Hollandia Evaporated Milk, Hollandia UHT Milk, Hollandia Malt and Milk to name a few and its range of snack foods like CHI Superbite Premium Beef Sausage Roll, Beefie Beef Roll, Beefie Meatpie and CHI Classic Cake.